An Apple patent filed in 2015 shows that the Cupertino-based company has plans for the (already pretty cool) Apple Pencil that far exceed its current iPad Pro limitations. This would be a big shift from the Apple Pencil’s current place in Apple’s range as an iPad Pro accessory. The patent also references applications of the pencil that would make it a much more useful piece of kit. 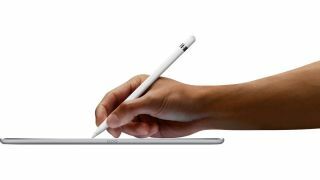 The Apple Pencil at the moment is primarily used as a tool for artists, but if the patent is acted upon, it could gain functionality to be used in “ game playing, telephoning, video conferencing, e-mailing, instant messaging,” and even “workout support”. Although what workout support the Pencil could give is currently pretty unimaginable. The use of a stylus in instant messaging seems like an appealing proposition, with the patent referencing the ability to ‘draw’ an instant message rather than type it. With the use of emojis and stickers becoming more and more a part of the way people connect through messaging, the ability to draw little images would be a natural next step in expressing yourself through an instant message. This patent was filed with the U.S. Patent and Trademark Office in 2015, so there is the possibility that these functions were Apple’s ‘pie in the sky’ ideas for what the Pencil could be capable of. But we would definitely be interested to see if the Pencil is capable of delivering on any of these possibilities.